This is the twelfth and final part of a series of articles celebrating the 50th anniversary of Doctor Who. Over the years there are certain stories that mean a lot to me either from personal memories or involvement I had in fandom through the years. These articles are not meant to be close examinations of the plot or production but more about what these stories mean to me on a personal level. Enjoy. One of the best things about becoming a Doctor Who fan at a young age is learning about all of the cool things about the series along the way. There have been great moments of discovery for me along the way. 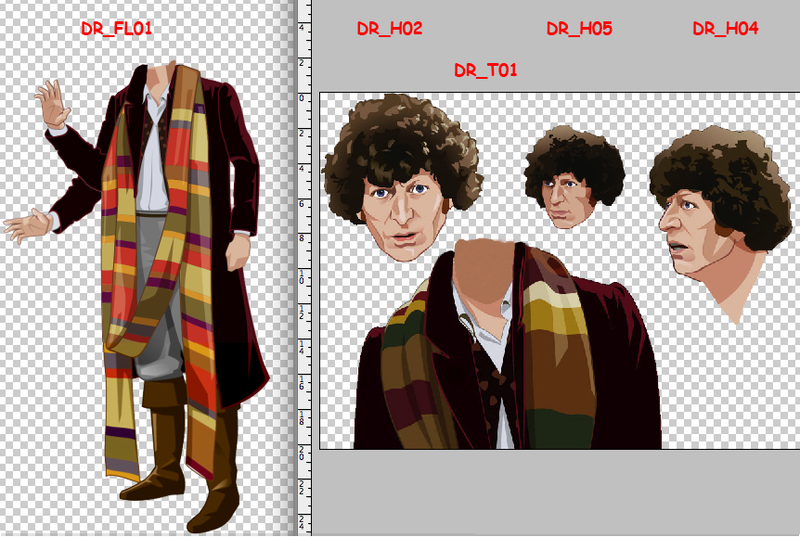 For example, I knew for a long time that one of the Tom Baker stories that went into production was never completed. This was Shada. From the outset, the story sounded pretty good to me. This was a story that focused on the Gallifreyan prison Shada and the story was written by Douglas Adams. It sounded quite good but then it was all past history for me. As a young fan, I had no idea I wasn’t seeing everything there was for Doctor Who on PBS. KTCA airing the Hartnell, Troughton, Pertwee, and Baker packages of episodes, it would make sense that they were showing everything there was to show. I had no idea there were orphan episodes to the Hartnell/Troughton years. I had no idea off-air colour recordings existed of Pertwee stories that were shown in black & white. 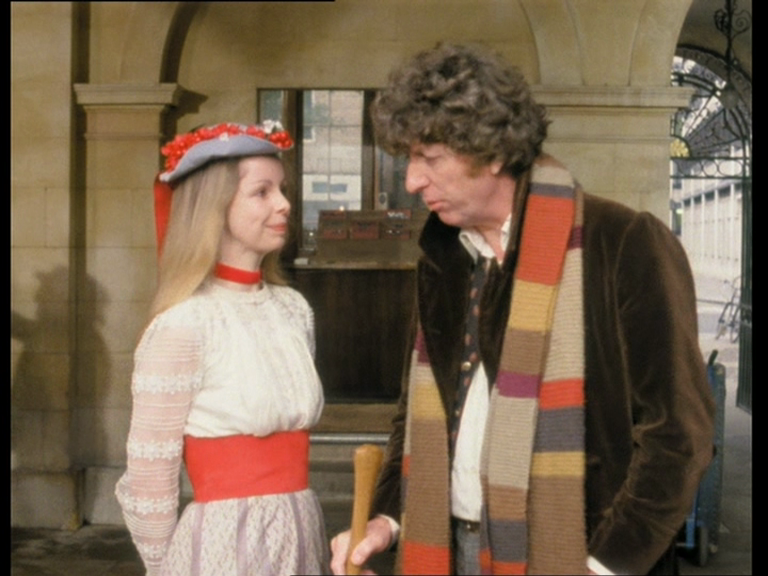 And I had no idea any footage existed for the unfinished Tom Baker story Shada. I had read about Shada in books and thought it sounded great; it felt like a real missed opportunity that it was never finished. Not that KTCA would have ever shown an unfinished story but it just didn’t occur to me that this stuff was still around, let alone available to fans. As I have mentioned elsewhere, I got the shock of my life in 1988. I was walking through the convention Time Festival in St. Paul Minnesota and I popped my head into the video room. I saw my first glimpse of something that would eventually change my life. I saw Shada. Now, let’s be realistic. Shada did not change my life but it was a conduit to how my life would evolve and move into something that meant a lot to me. As many people were recording Doctor Who from KTCA in movie format, I knew after that weekend at Time Festival, I wanted more. I wanted everything there was for Doctor Who on video. The thing about this particular version of Shada that was shown is that it was taking the original footage that shot and included text title screens for the parts that were not completed. In the best way that could be achieved at the time, Shada was completed. Seeing that had shown me that theoretically, I could get a hold of anything if I found the right sources. Jump ahead 1 year, just 1 year and I was running the video room for the fan club The Whoniversity. We had a cabana suite and turned one of the rooms into a video room. Just in one year, I got a hold of a lot of material to put into this room. Thanks to my friend Mike, he provided me with a copy of Shada. Well, barely a copy. I know he would agree with this. The copy I had was probably 3,000 generations down from the original. In reality, probably 10. The text for the unfinished bits had a smaller font yet the text was still readable. It was done on a BBC micro which in itself in now kind of historical. One thing this version had was an audible hiss. A really noticeable hiss that was overly noticeable on scenes that had footage but the scenes with only text was very loud but to be honest, that was part of the charm to this recording. Why do I bring this up? Because I showed it in the Whoniversity video room at PolarisCon in 1989. To say it was a success was an understatement. Top: my original copy of Shada. Bottom: from Ian Levine's master. It was Saturday July 1st 1989 and I decided the day’s video schedule would be one story from each Doctor. I knew at the tender young age of 15 that I was a Doctor Who purist. I was sick of the local PBS station KTCA showing Doctor Who in movie version so if I were to show any Doctor Who in my video room, it needed to be in episodic format. The only problem was that at that point, I didn’t really have much in episodic format in my collection. So basically, what I showed was whatever I had in my collection that I already had in episodic format meaning I didn’t have a lot of choices. 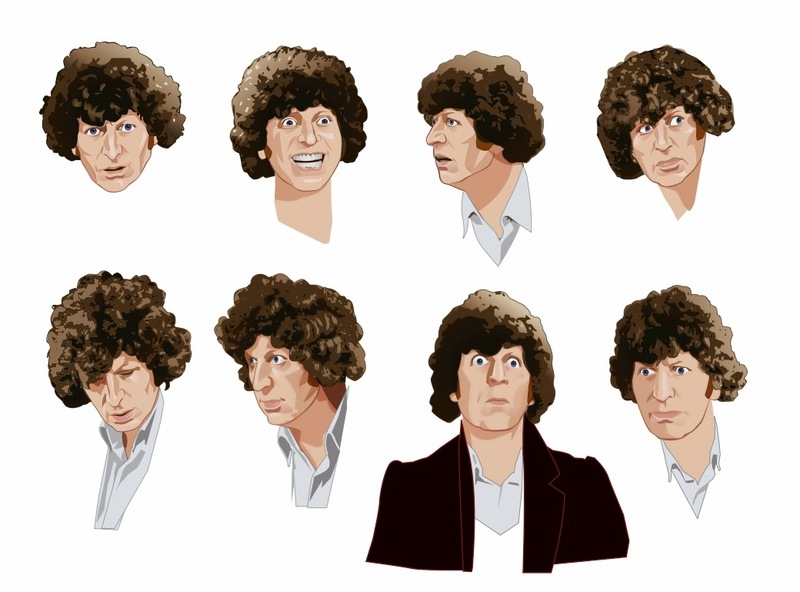 I had no Tom Baker in episodic format yet apart from Shada. 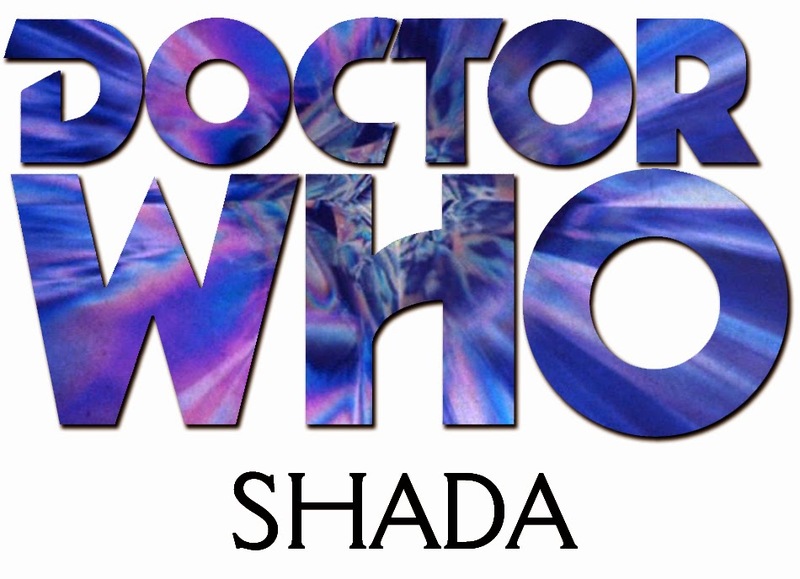 I figured Shada could be interesting since it was never going to air on PBS so I figured it made sense. I think most people are familiar with the size of a regular hotel room. A cabana room is a little bigger with two beds and this one walked out onto poolside in the hotel. When I started to show Shada, people started to pour into the room. At its peak which really was sustained throughout all six episodes, there were about 40 people in the room. You couldn’t move. It’s fun to be able to provide people with the option of watching something they haven’t seen before. 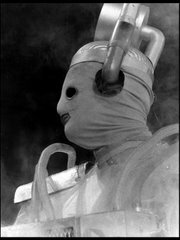 It might have been during that time that someone stole my copy of The Tenth Planet I just got in that day. That was annoying but luckily it was announced it was stolen in the main video room. We asked whoever had it to return it and no questions would be asked. Thankfully they returned it and I asked no questions. I only upgraded that story about 40 times before the DVD finally came out in October of 2013. 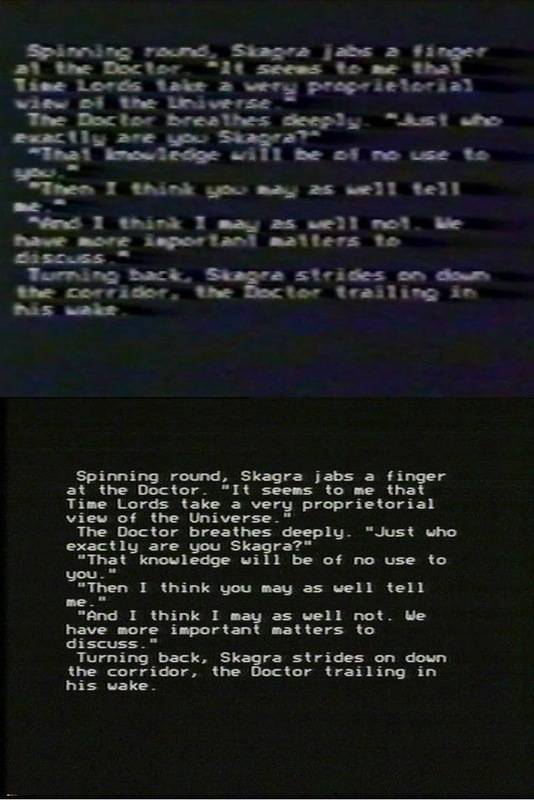 This version of Shada, using text screens, has always been the one (up until recently) that had been my favourite. To me it was definitive because it literally included everything. Every line was included. It may have taken the episode a longer length than the traditional 25 minutes to get through but I loved it. A few years later, I ran into one of the people who ran the video room at Visions in Chicago. On the big screen he was showing this version of Shada and it looked much better than mine. Then again, as we already established, that wouldn’t be difficult. I asked him for a copy of his Shada. I didn’t want anything else but Shada and he flatly said no. I asked him why and he said he didn’t want anyone else to have it. Fair enough and it’s probably no surprise I adopted my non-sharing attitude I have written about from this article here from that exchange. It didn’t matter because soon we were about to get the best quality version of Shada to date. The VHS release. This version had everything. 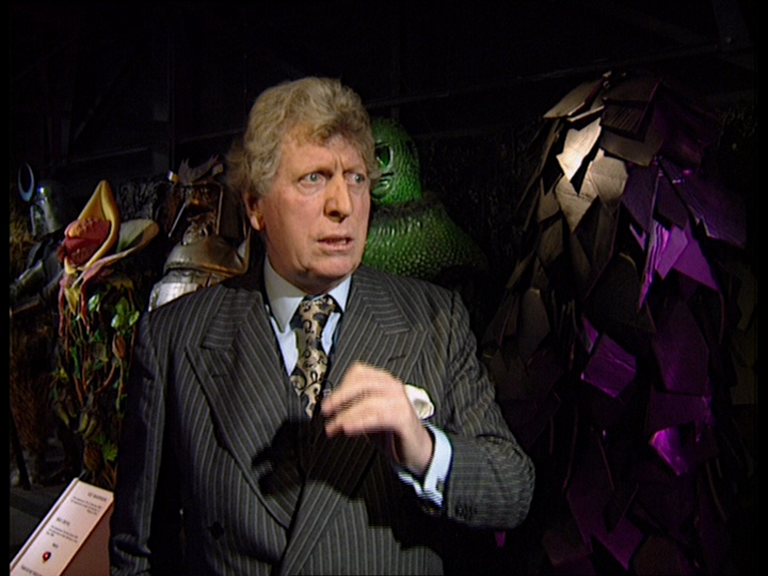 It was high quality recording of the video footage, music in the “style” of Dudley Simpson and narration by Tom Baker. This should have been something pretty special, right? I personally call it an abomination. This is my least favourite version of the story ever for the very reasons I quoted above. The music in the “style” of Dudley Simpson was Keff McCulloch’s music. It sounded nothing like Dudley Simpson and thinking about it more now, it is actually kind of unfair to ask an established composer to create music in the style of someone else’s work. Granted, he could have turned it down. 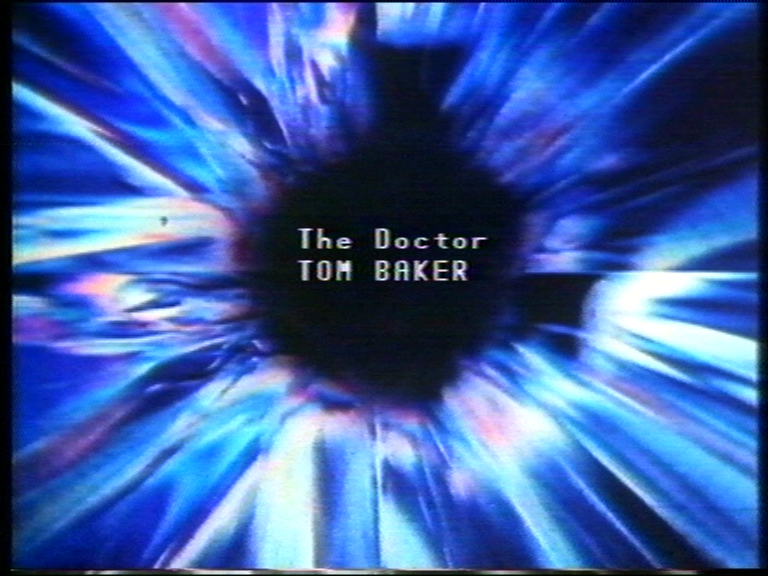 Apart from the enjoyment of seeing Tom Baker, the narrating links were very general. No real detail. I know he wasn’t going to recite every single line but to this completest known as Greg, I wanted more. The video quality was great but the story was ruined immediately for me when the wrong font was used on all the opening and closing credits unlike the version I showed at PolarisCon that had the correct font on the opening credits. There are many who are reading this who might find this overreacting, I personally could not stand to watch it since the fonts were so wrong. Once this abomination came out from BBC Video (I know the people putting it together were doing their best), it became harder to find people who had copies of the “original” version of Shada with text screens and all. Over the years I amassed a pretty awesome collection of episodes in great quality but still had the version of Shada from 1989 with uber hiss. Hell, I didn’t even know where this version of Shada came from. I mean, who made it? 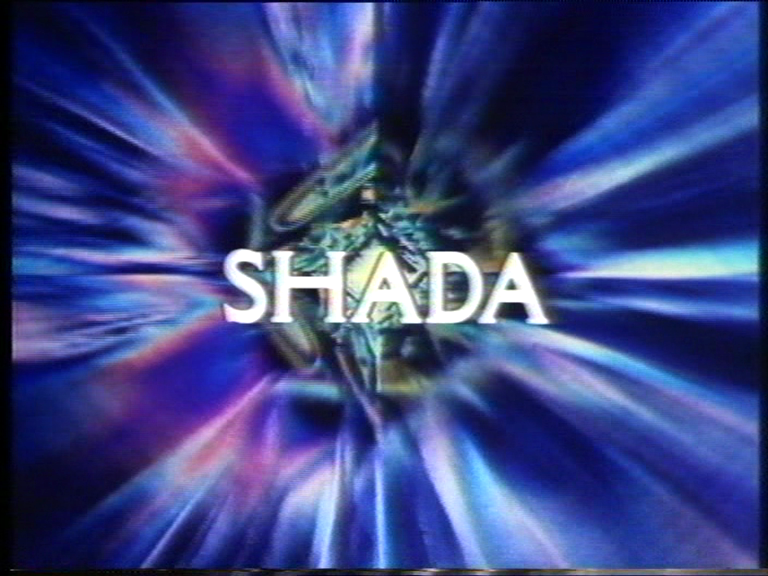 Shada opening title from Ian & Keith's original version from 1984. Did You See? from 1987 that put into question the direction the series was going. There was a segment within the piece of Ian showing off his collection of episodes that were professionally copied from the master tapes. This really had an impact on me. The collection was beautiful and it inspired me to keep my own collection organized down to typing up labels for all my tapes opposed to hand-writing on them. I have atrocious hand writing. In 2007, as I started to get more into video & film production, I thought about an idea that interested me and looked into the possibility of doing a short documentary on Shada. This would be a fan production but I knew I could do a good job with it or maybe even sell it to the BBC to put onto a DVD if it was good enough. I decided to meekly send a note to Ian on his forum and ask if down the road I could interview him about the version of Shada he put together with Keith. His response was very helpful and actually offered to make me copies of Shada from his master tapes. This was big for me. Really big. While the majority of the world were happy with the BBC Video version of this story, I really wanted the one that Ian and Keith put together. The idea I could get this directly from Ian was beyond cool. It just came with a catch. Original closing caption from Ian and Keith's version from 1984. Ian used to have 3/4” U-matic tape machines which his masters were on. Since then he got a working machine but at the time he didn’t have one. I could get copies from him directly from his masters but I would need to coordinate getting the masters duplicated from 3/4” to DVD in London. I live in Minnesota in the USA. One would think that could be a problem. I don’t believe in problems. If I want something bad enough, anything is possible. I know a lot of people. I have a lot of contacts in the business of distributing video all around the world. Between people in Chicago, New York and London we created a global effort to coordinate getting the original U-Matic tapes from Ian at his house via courier and sending them to a post house in London where 2 DVD clones were made of each episode. At which point one set was couriered back to Ian with his original tapes and one set overnighted to me from London to Minnesota. It was very exciting. I checked the DVDs to find……they were the Tom Baker narrated versions! Two of the corrected DVDs from the UK. Did I read wrong and Ian and Keith did not make the version I was wanting? Ian did a lot to help me get this far so I was a little nervous going back to him about this. I explained the situation and he apologized for providing the wrong tapes. Remember, he did not have a machine to check these on. Simply human error. No big deal. He found the right tapes and we began the global effort again. This time I got the right Shada. The tapes haven’t been played in years so the first few minutes of each tapes had some slight drop out but nothing I couldn’t sort out. That was done and I was happy. A few years later, I saw something that changed my life and in a really good way. In October of 2010, Ian Levine had posted on his Facebook page that he needed people to invest in a project that he was putting together. I had not really spoken to Ian much since he helped me get a hold of Shada. I sent him a message through Facebook and mentioned that I really had no money to invest but I might be able to invest through something different. I work in film production/post production. Depending on what the project was, I could maybe help in that way. Ian replied to me quickly as he was getting things moving. He wanted to call me right away. I admit, I was nervous about it. I generally have to prepare myself to talk with anyone on the phone and I was extra nervous talking to Ian again; I didn’t want to sound like an idiot to him. I told him I would call him tomorrow. Always put off what you can do today tomorrow. He responded saying he really wanted to talk now. So…I said ok. It was a great choice. Ian called me up. I have always had a great respect for Ian Levine. If you read this site often, you will know how much I love the subject of missing episodes. You will also know how much I love the subject of archiving one’s own collection of Doctor Who recordings. I have been in awe of him in regards to both subjects. That fact he found so many episodes and readily gave them back to the BBC plus all the material he gave to the Restoration Team even though he wasn’t getting along with them at the time. I always appreciated that. Getting back to the phone call, Ian mentioned he remembered me because of my enthusiasm for Shada and thought I might be able to help him on this project. It was simple. He was animating the un-made portions of Shada. He was getting the entire original (still living) cast back together to record minus Tom Baker. Ian had a sound alike for Tom and as Ian says even John Leeson thought he sounded more like Season 17 Tom Baker than Tom does now. On this call, Ian played over the phone from the UK audio samples of Paul as Tom. They were very good. Ian also told me that Christopher Neame lived in LA and Ian needed to record his lines from there. I know LA recording studios and I offered to find one that could give us a good deal but Ian declined. The one thing he wanted to be very careful about was making sure everything was kept quiet. He didn’t want anyone to know where he was recording things. He knew as soon as people found out that he would be open to all kinds of ridicule and judgment. I wanted to help him but I respected his decision. Eventually a photo of Ian with the cast of Shada leaked. It was not leaked by Ian. It’s too bad because he really wanted to keep this project under wraps. The one thing that stood out in this conversation was that he wanted to give Shada to the BBC to release at no charge. Ian didn’t say he wanted to sell it to them or give it to them finished allowing no changes. He wanted to give it to them for release for free. He told me this at the very first conversation. This is when I knew I could help. I wanted to get some effects/graphic houses involved to create the effects on spec and then pay them if this was given to the BBC. I started to get to work to find people to help us and I had people I work with such as my boss giving me advice on who to talk to about it. It was very exciting. Unbeknownst to me, Ian had found someone else to make the CGI effects such as spaceships etc. I was bummed about it but after Ian and I spoke, he found someone who could get started on them now. I think in the long run it worked out for the best. I was able to help Ian out in other areas in regards to Shada. I have some slight talent in making very nice opening/closing credits for all eras of the series. I was able to make open/close title sequences for Shada. In fact, it is a role I do to this day. Generally for any projects Ian is putting together, I will do the credit sequences. I am pretty particular and I love to get the fonts, kerning, etc. right. I also was helpful to Ian in moving files around. Instead of using an FTP and other things like dropbox, I would be able to reliably get files to different people just as link. I also did a lot of FLV file transfer to MOV files. I wasn’t doing the heavy lifting like animation but I knew I was a helpful component to the team. Things would only get even more interesting and start whetting my appetite for animations. There was another project Ian was working on. There are a lot of projects Ian is always working on and many I have no idea about. He started to send me links to something really special. It was Mission to the Unknown. It was meant to be in the style of The Invasion animation but it wasn’t. The way I explained it to Ian was that I felt The Invasion animation looked like retro style animation but the Mission to the Unknown animation looked like it was designed in the 1960s and that gave it a really cool look. Ian had asked me to get a hold of someone in the production of this episode. Ian and this guy had a falling out over something and Ian wanted me to get in touch with this guy and see if I could help the situation. I called and this guy was really nice. We essentially work in the same industry and I thought I was able to persuade him to return to work. It was critical to get Mission to the Unknown done. In fact it was the key component to the entire master plan. For Shada to be considered by Dan Hall, Ian needed to provide Mission to the Unknown on time to show that these projects could be finished on a deadline. As Mission to the Unknown was slowly being worked on at a snail’s pace, another opportunity was waiting. It involved the French Revolution. I was told by Ian that The Reign of Terror was going to be animated and he was trying for the opportunity to animate it. I wanted in on this. I wanted to help Ian make this happen. There was one thing that really impressed me about Ian. 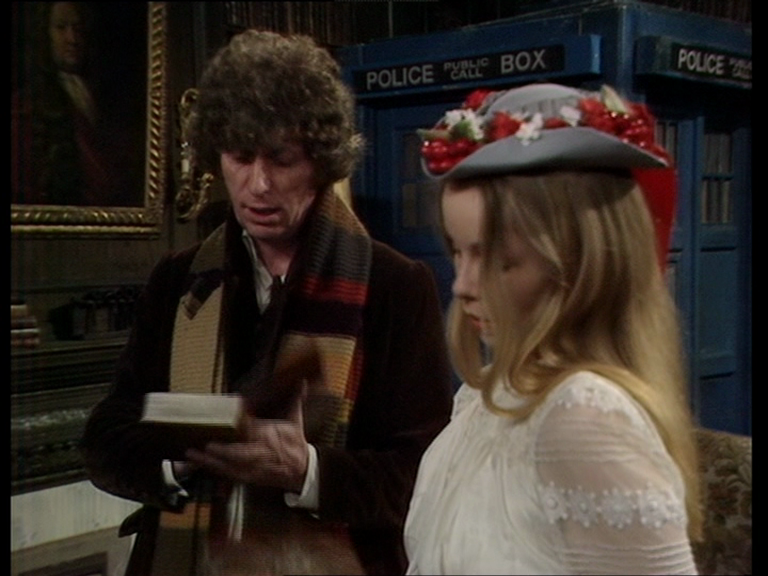 He kept an amazingly detailed journal of every episode of Doctor Who and he wrote in it as he saw the episode. To me, these are historical documents and are extremely accurate. I know this first hand. I have his notes on a couple of stories and they are truly wonderful. It was very useful on Mission to the Unknown and this is why I wanted Ian to do these animations. Mission to the Unknown was going slowly. Every day we waited for progress, we were losing an opportunity of a lifetime. As Ian and I knew that the Mission to the Unknown team were not right to work on The Reign of Terror project, I went out looking for a new team to help bring Ian’s dream to life. I started to check out artists and animators in the Minneapolis area. I started to get people interested. I found someone to draw the characters and someone to do the backgrounds. We had to move quickly as we were running out of time to show Dan Hall stuff. The way it worked was my guy would make character design sheets of characters. We would send to Ian and he would make comments and revisions. We would revise based on what feedback he had. Once he would approve, we would move on to the next character. 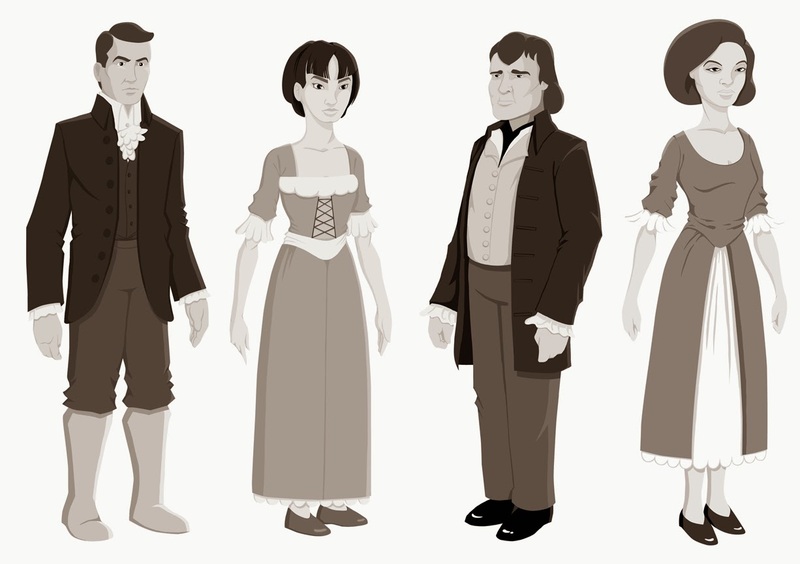 Our character designs for The Reign of Terror: Ian, Susan, Jules, and Barbara. One day, Ian called me and said we needed to get a scene together for Dan Hall to look at and see what we were doing. I know that Dan was generally happy with what he saw of the character designs. I asked Ian what scene he would like to see animated and he chose the scene with Ian coming to the hideout and sees Barbara for the first time since they were separated earlier in the story. This was from A Bargain of Necessity. We put together the scene. 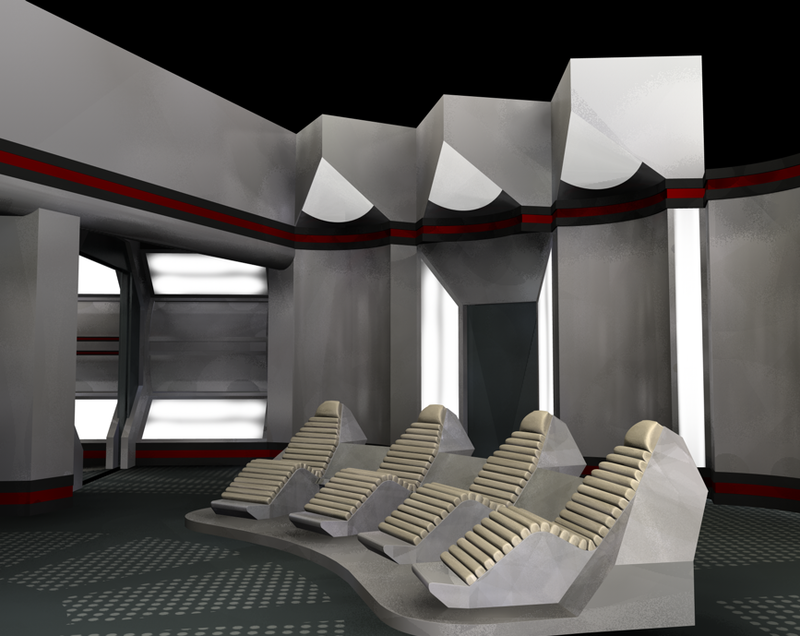 At first I didn’t have someone to make background so we roughed them in and thought they looked great. They didn’t. The animation was really stiff and not very good. Ian showed Ed Stradling and Ed had a ton of comments. Some really helpful and others that were frustrating. One of the things we were dinged for was that we followed the camera script strictly. I mean shot for shot. We were told they did not want that and wanted to see the shots more dynamic. This took me a while to get past because I think these should be accurate to how it was shot. See my review of The Reign of Terror animation here to see more of what I am talking about. Ian talked me down the cliff and basically said we needed to do what they wanted if we wanted to be considered. Just like the original pilot to An Unearthly Child, we got a second chance to do it again. This time I enlisted possibly the best artist I have ever seen. Justin made us beautiful background images and furniture. Matt, our character artist, took some feedback we had and gave us more detailed animation. The end result was 100% better. Everyone thought so. Of course, it was far from perfect but we were definitely moving in the right direction. One of our backgrounds for our animated version of The Reign of Terror. I had a long-term plan to keep producing animation. We were coming up with a way to make it very cheap. My plan was to have two stories in production at once. I had also spoken with The Arts Institute Minnesota about helping us out. In fact, if we were able to animate The Reign of Terror, we would have created a class curriculum at The Arts Institute Minnesota that was basically a class just animating Doctor Who. I had people who were behind me in this plan. I am not sure how impressed Ian was with this plan but I was impressed. Shada was working to schedule but Mission to the Unknown remained unfinished. In fact, the people putting it together told me in no uncertain terms that they were going to take their time to finish it…..if finishing it at all. Letting them in on the plan we wanted to do and how important it was to finish Mission to the Unknown made absolutely no difference what-so-ever. In fact, it made them move slower. The character designs we did for The Reign of Terror were simple. In fact, I was quite surprised when The Ice Warriors was animated because the character designs reminded me a lot of what we did. By no means am I saying Qurios copied our style but it is such a separation from what Planet 55 did and from what I understood the direction of how Dan wanted these animated. It hurt that much more to see The Ice Warriors and Qurios’ making of animation feature because it was the same workflow we used and I feel like we should have been there too. Background art for Skagra's ship. Unfortunately this story really isn’t a happy ending. Mission to the Unknown was eventually finished. It was much, much later than anyone could have ever thought. It hugely played into how everything else turned out. I am not on speaking terms with the person who was working on Mission to the Unknown and he is not too terribly fond of me. We each see this story differently. I am sure once he knows I wrote this article, he will be on here or the forums to defend himself. Whatever. As for The Reign of Terror, Ian didn’t know that Dan chose another company to animate The Reign of Terror until about an hour before the official press release. I didn’t know until the press release. It was a devastating blow. I really thought we could do this both artistically and economically. My animators and I had made mistakes along the way that probably made a difference in the long run. 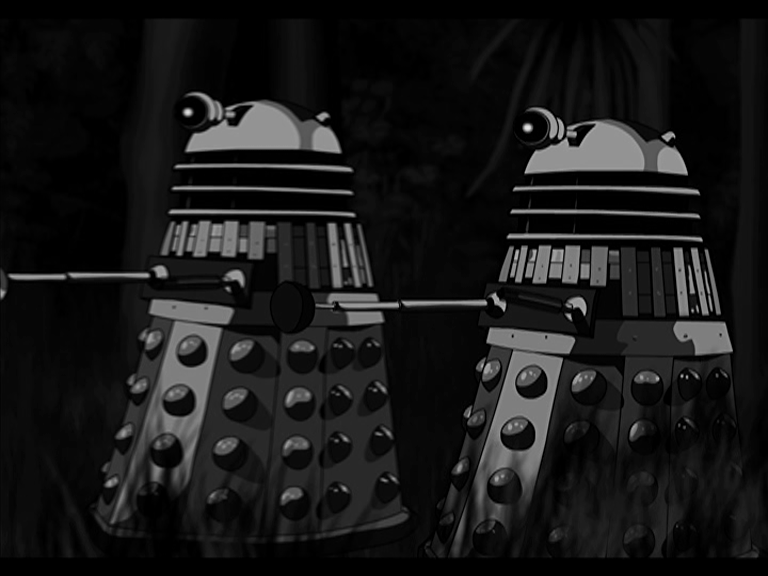 We would have solely existed to make animations for Doctor Who and nothing else. I think we would have kept making animations and making them financially viable for the BBC. I had a few ideas about how to offset costs to keep these going for the BBC. I had people who were behind me on it where the costs wouldn’t be completely absorbed by the BBC. We were even updating the character designs. As you could see by the designs below, these are not traced but free-hand drawing by Justin. This is what our characters would have looked like but this evolution of thinking was a little too late to be practical. It’s a very exclusive club to get into the BBC inner circle to be able to do produce something. You very often always see the same names producing multiple things. Not a lot of new names crop up. 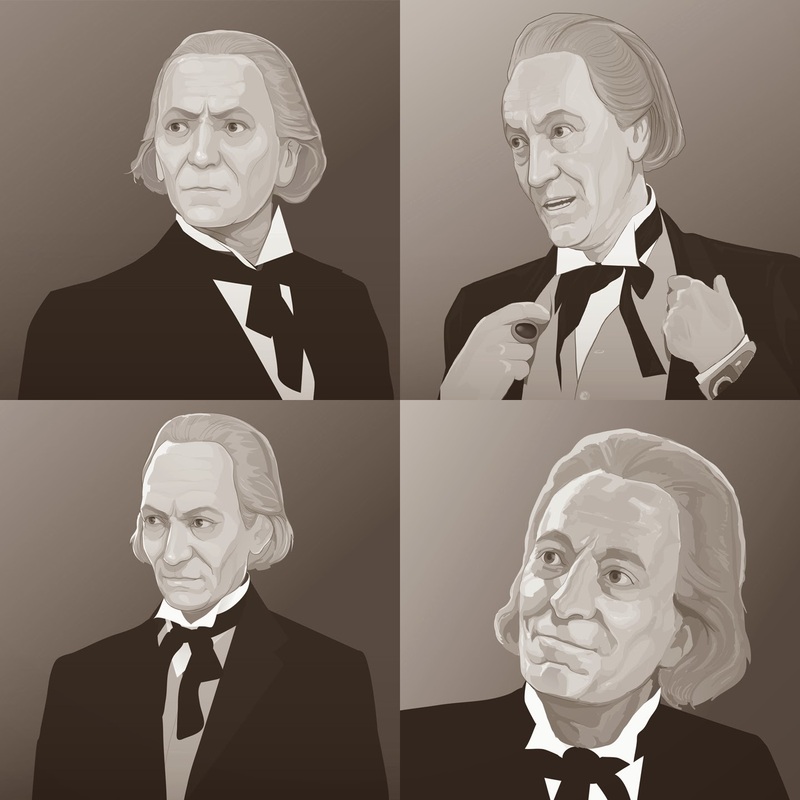 This is what our Hartnell would have looked like if we made the animations. As for Shada which is what this is all about, it finished on time. I think it turned out very well. It was not picked up by the BBC. I don’t know how it went down and why it wasn’t accepted. I am not privy to those business decisions; it is none of my business. It was professional and looked great. I personally prefer the animation style to anything else that has been released so far. I love the character style for this. Of course I bought the Shada DVD but I think it is a disappointing set. 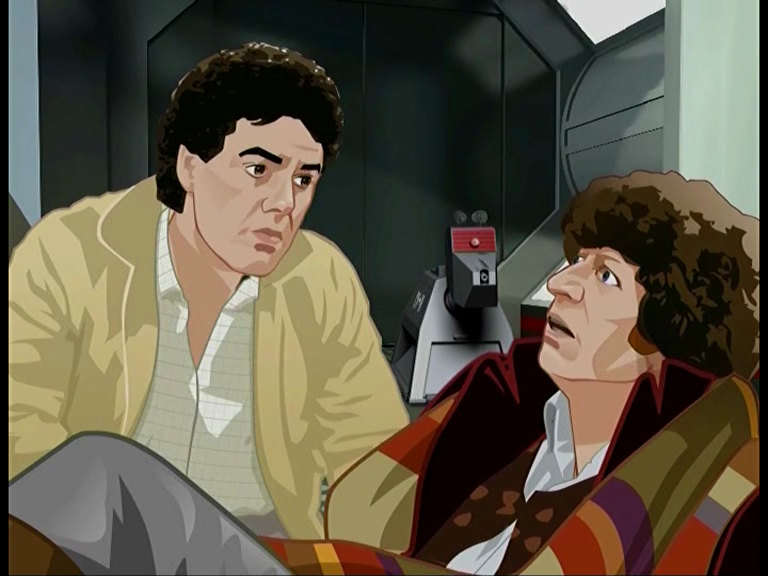 Ian’s animated version of Shada is definitive to anything that is available for this story. I know when I want to watch Shada, this is the version I watch. Sadly because people are cruel, Mission to the Unknown was leaked onto YouTube. It’s interesting because the copies that Ian sent out were 4:3 versions of the episode. The one that was leaked was the 16:9 version that was made and did not have my end credits. That means it was leaked by someone on the production side…..hmmm. They were paid for their work, it wasn’t a huge amount but was the amount they agreed on, but even though they were told not to distribute it they still put it up on that site. Lame. Unfortunately it looked like Shada may have been leaked too. I understand that once people heard it was being worked on that they would want to see it. This was a private project totally funded by Ian and a couple of other investors. Any copies that were sent out to people should have respected Ian’s wished not to circulate. It shows how selfish people are especially when it comes to Doctor Who. It makes me angry. 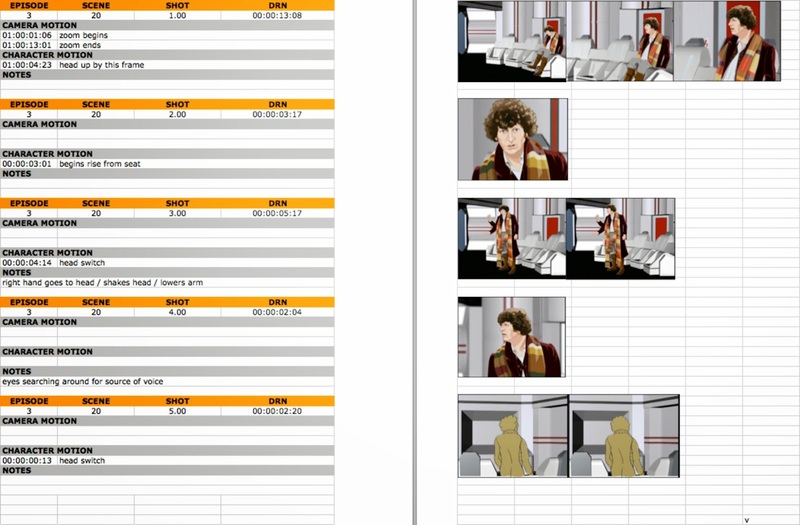 I often wondered if Ian didn’t produce an animated Shada and someone else did, if it would have been leaked? 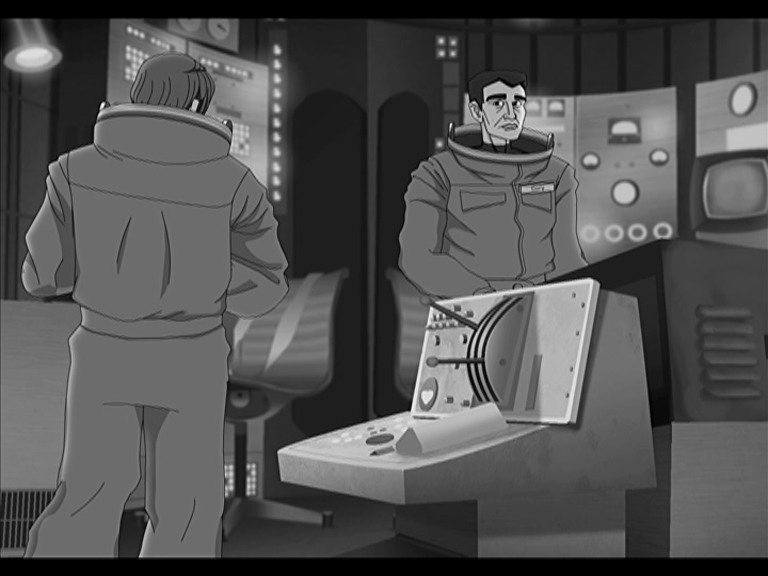 A storyboard from a scene from Shada. That being said, I am really proud to have been a very small part in the making of Shada. The animators who worked on it and everyone else who touched it should be proud of what they accomplished considering the massive scope of this project. It’s too bad that other people who were in control couldn’t see how great this project was. As far animating missing episodes, perhaps it is an (almost) moot point depending on what Phil Morris has found. If what we are hearing is true, we may not need to worry about this much at all. 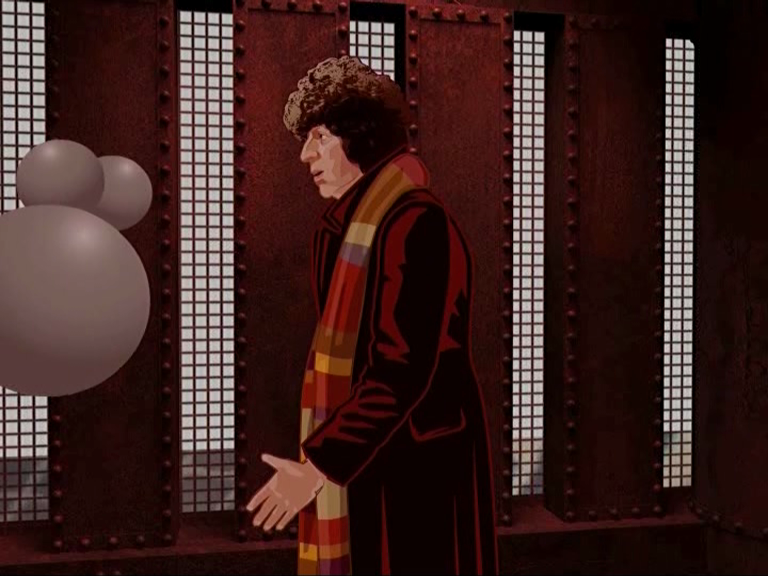 As for the animated Shada, now that the release strategy and some of the people who release Doctor Who DVDs have now moved on, maybe there is still hope for Shada getting the wide release it deserves. Maybe iTunes? Who knows? I am on Twitter: @FromtheArchive Please follow and retweet these article if you like them.